HomeJudge a Series by its Cover? Opinions Please! Judge a Series by its Cover? Opinions Please! Instantly recognizable, right? 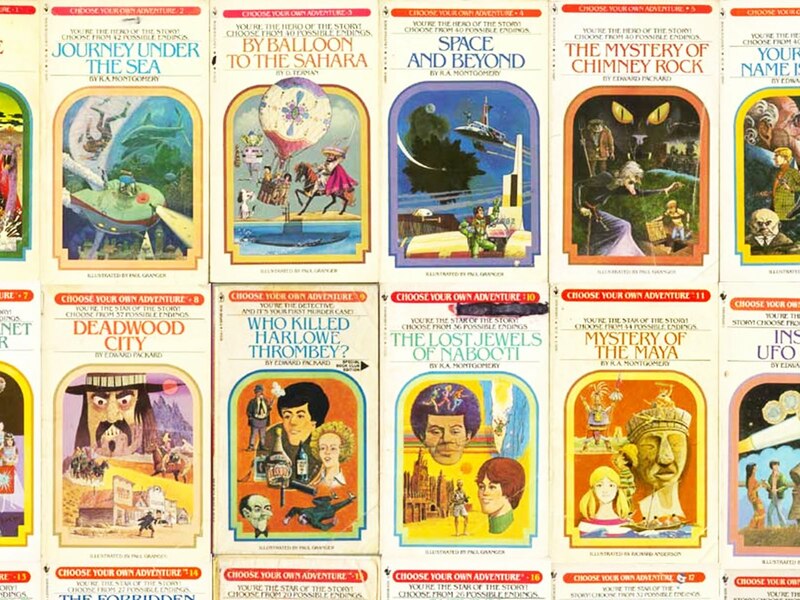 Those are the “Choose Your Own Adventure” books, one of the original gamebook series. I must say, it makes sense. 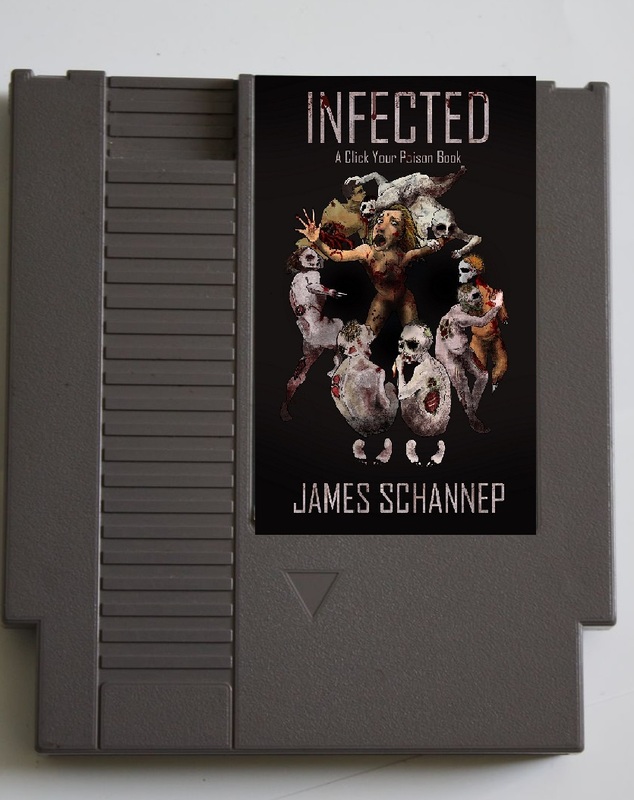 I love my covers for INFECTED and MURDERED, but they don’t really look connected to one another in any way. I could still keep the images, but maybe in a different design scheme. One fan suggested a design reference to the old InfoCom games, a callback to when all video games were essentially text-based adventures. The original company is defunct, but they certainly had that “connected” feel. And there it is, all the info you need, right on the cover. So, what do you think? Whether you’re a casual reader or a student of design, I’d love to get your thoughts! I think you’re on to something, having a similar cover design would let people know that the books are related. It may draw people who chose one of your books say for the zombie appeal to try Murdered because it’s in the same series. I agree. 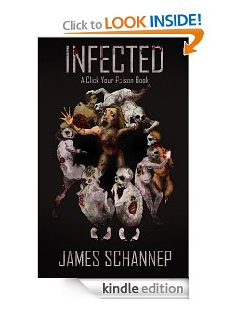 I think people need to be able to see a book and say, “Oh that must be a James Schannep book.” They will be more apt to look at it. I think it’s an interesting thought. The only thing is, that interactive fiction in and of itself really isn’t a genre–it’s a medium, an encapsulation. Since your books are technically in two different genres (post-apocalyptic and mystery/crime), maybe having separate covers is a good thing because it appeals to those respective audiences and brings in leads over the long run. Maybe you could get a logo designed that you can put on the covers that would tie them together instead. Or re-do the titles and the type to be more uniform. When I think of a series that has sequential but unrelated entries, Final Fantasy springs to mind—each cover art is different, but you know them by the emblematic title with the hand-drawn character art. But each entry in the series reinvents itself and the covers suit the genre (steampunk, futuristic, medieval, etc), like you do with your books. In any case, I’m curious to see what you do! As far as covers go, yours are fine. What you nee is a banner across the top of the cover or a logo off to the side that suggests an interactive story. Looking forward to the third!